Hiya crafty peeps! It's a brand new month which means a new clear release is taking place over at Some Odd Girl! This month portrait images have taken over both clear and digi's so keep an eye out but lets kick things off with this adorable Wink Mae clear set. It comes complete with image and frame and a couple of awesome sentiments which can be used lots of different ways. 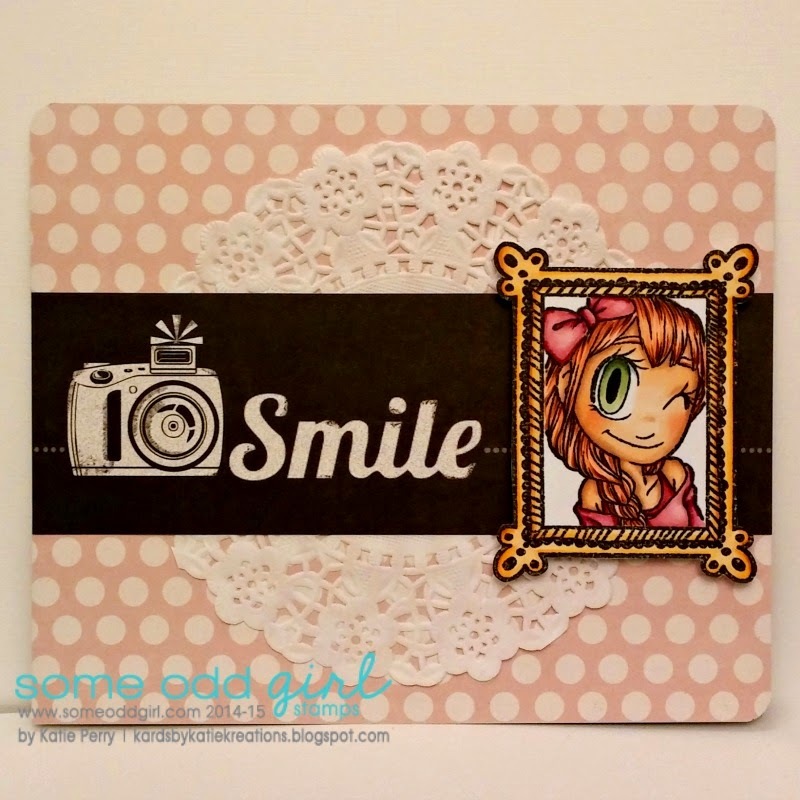 I decided to try my hand at some simple masking and put little miss Mae inside the frame- if you want to see a quick and easy how to pop on over to the Some Odd Girl blog where there's a short video :) While you're there take in the amazing projects from the rest of the DT and get some inspiration. Once we've won you over then don't forget to stop by the shop to pick her up for your very own (enabler alert!). Thanks for stopping by to visit me- don't forget to check back tomorrow for the other awesome release- I just know you'll love it! A fabulous image and design Katie. Love it. Gorgeous card!! Love all those soft colors!! Loooove Mae's hair color!! !